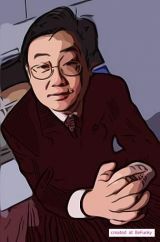 Eric Tsui joined Computer Sciences Corporation (CSC) in 1989 after years of academic research in automated knowledge acquisition, natural language processing, case-based reasoning and knowledge engineering tools. His research was supported by grants and scholarships from Arthur Young, Rank Xerox, CSC, Graphic Directions, and the Australian Research Council. He was also a gratis visitor to Microsoft Research in February, 2000. Between August 2000 and January 2005, he had assumed the roles of Chief Research Officer, Asia Pacific for CSC as well as Innovation Manager at Australian Mutual Provident (AMP) and Maybank, two strategic outsourcing accounts at CSC in Asia Pacific region. Eric was responsible for strategic research, knowledge brokering (between CSC and the clients), innovation management and university-industry collaborations. During his tenure at CSC, he had made significant contributions to CSC’s expert systems products, applied research and innovation programmes. In his academic capacities, Eric has designed and delivered KM, AI, BPR, Portal, and MIS courses at the University of Sydney, University of Technology, Sydney, University of New South Wales, RMIT University, University of Kentucky, The Hong Kong Polytechnic University and City University of Hong Kong. He is the program leader of Asia’s only master degree in Knowledge Management which is delivered in an online blended learning environment. He has B.Sc. (Hons. ), PhD and MBA qualifications. Appointed as the Professor of Knowledge Management at the Hong Kong Polytechnic University under the President’s Distinguished Professionals Scheme in September 2002, he joined the university as a full time staff in March 2005. In the past 3 years, he has given numerous public and custom-designed knowledge management and technologies workshops. He has also consulted for many government departments and private organizations in Australia, Hong Kong, Singapore, Malaysia, and Brunei. Thank you so much for your entry in the Global KM Directory. I really do like the image too!